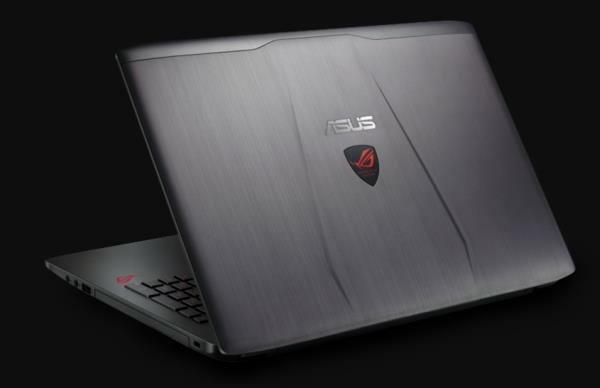 The Asus ROG GL552VX is yet another 15.6-inch gaming laptop. It has Full HD display resolution, IPS wide viewing angle technology, the mid-range Nvidia GeForce GTX 960M dedicated video card, Intel’s high-performance Core i7-6700HQ quad core processor, and generous DDR4-type system memory of 16 Gigabytes. The notebook also includes a built-in DVD writer optical drive, stereo speakers, a 720p web camera, 802.11AC Wi-Fi wireless and Ethernet LAN wired Internet and LAN connections, HDMI video output, three USB 3.0 ports, one new USB-C type port, a memory card reader, and a combo audio jack.